Consumers are people who get services from governments, service providers and in the community. Consumer advocates speak up for the rights and needs of people with disabilities. Voice at the Table is for people with an intellectual disability, acquired brain injury or complex communication needs. Resource: You can find out more about consumer advocacy and consumer participation here. These profiles are of consumer advocates who have completed Voice at the Table Training and are looking for opportunities to have their voices heard. Julyne is a member of Duke Street Community House, Sydenham Neighbourhood House, and has participated in running governance programs through Brimbank City council for people who want to set up their own community group. She has experience in writing grants. She volunteers as a workshop co-facilitator for Peer Supporting Peers – Life Moves – Brain Link. Through a Leadership Program run by Brimbank Council, she gained more confidence about speaking in groups and how to talk to people. In 2018 she completed a Disability Leadership Program with Women with Disabilities. In she 2018 completed the Voice at the Table training. In 2003, a worker’s boss suggested Julyne go to a computer course at the Neighbourhood House. She was able to employ support workers to who enabled her to participate as she had acquired agoraphobia. Since then she has never looked back! In, 2012, due to her intelligence and insight, Julyne was asked to be on the Duke St Community House Management Committee, then in 2014, was elected as Vice- chairperson. She also volunteers in the office doing administration support and supporting the computer class for young people with disabilities. She is proud of herself with where she is right now – she is confident within herself which has been a journey in itself. Another proud moment in her life was on July 19th, 2018 when she graduated from the Women with Disability Project. Julyne has empathy for other people and this aids her in building a supportive community at the Community House. This attribute is helping her learn from other people and the importance of respect in the world. She has skills in IT – working with computers, supporting people to learn new skills and leading committee meetings. Julyne loves ballroom dancing, she loves her family – children and grandchildren. She loves reading books, cats, online games (which helped her with building confidence with other people while she was unable to leave her home), music and her volunteer work. 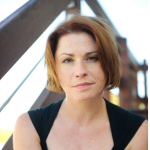 Susan is a member of Reinforce and the founder of Positive Powerful Parents (PPP). She is a leader in Self Advocacy and was President of Reinforce between 2015-2017. In 2016 she won an Inspire Award “Office of the Public Advocate’s Best Achievement in Disability Advocacy” and was runner up for the Brenda Gabe Award in 2014 awarded by Women with Disabilities Victoria. In 2016 she was on the ID Reference Group for NDIA. In 2013 she created the ‘How Would You Feel’ DVD for PPP. She hosted and spoke at the ‘It can happen if?’ Forum. Susan is a powerful public speaker with a good sense of humour, she is a supportive caring colleague and a good mum. She is a passionate advocate, speaking up so that parents with a disability keep their kids. She says everyone should be counted, equality, everyone being treated the same’. 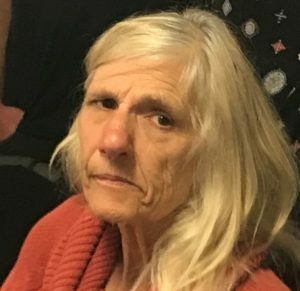 She is passionate about independent living (no group homes), computer, her daughter, friends, and the Melbourne Football Club. Roger has been a presenter for Road Trauma Support Services, which involved delivering monthly presentations to people nominated by the Justice System to attend. 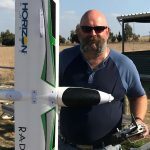 He is currently the Treasurer of the Model Aircraft Club of Sunbury. Roger has completed the SARU – Voice at the Table training and is a member of Brain Injury Matters. Roger is a former Executive Coach with Australian Super, National Manager Operations, Industry Super and Senior Manager ANZ Bank. Roger’s education includes – MBA, Grad Dip Mgt, Grad Cert Corp Mgt, Dip Auditing & OHS. From 2012 to 2015, Roger volunteered with Marriott Support Services, and worked with them to deliver a major project. He created a business case for the setup of a Warehouse for Bonded Goods. This included planning for security, OH&S, Government approval and funding. He won The Pam River’s Volunteer Award in 2014 which recognizes a volunteer who has contributed significantly to improving the service quality. Roger enjoys working to identify opportunities and challenges to develop appropriate strategies that will enable Individuals and Teams to learn and implement skills whilst improving business results. Flying remote control planes has been the balance to Roger’s life over the last few years since his Acquired Brain Injury (ABI) in 2010. He is interested in helping to create a healthy work/life balance, drawing from his extensive history of Executive experience and previous work history. Clem is a member of Rawcus Theatre and FOG Theatre. 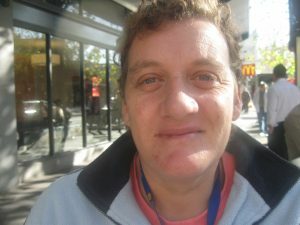 He works for DHHS as an administration and organisation worker, and for City of Port Phillip as a peer support worker. He has won Green Room Awards for his theatre work and was a speaker at The Silent Morning Tea. Since doing Voice at the Table he now feels even more confident to speak up. He is passionate about equality, a good networker and excellent at getting the word out there. He is keen to do more self advocacy work, performance art and has an interest in making the world better and changing the way people think about people with a disability. John is a volunteer with Brainlink where he has completed and led in support groups for people with an ABI. He is a volunteer with Outlook Recycle Centre. He is also a Captain in the Pakenham Upper Toomuc Cricket Club and part of their committee. 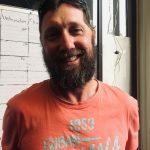 He is a member of the Richmond Football Club and subscribes to RRR community radio. John is firstly proud of his wife and two young children. Between 2003 and 2005 John established and operated his own Plumbing business, which he was also proud of achieving. Between 2005 and 2010 he lived and worked overseas managing to travel through over 50 different countries. He is proud of his ability to engage with his recovery from his accident/injuries. John is good at taking complex concepts and communicating them in simple terms. He is an assertive leader who can identify people’s skills and capacity to carry out tasks. He is also good at encouraging people. John’s family are at the top of his list of things that he is passionate about. He is also passionate about helping people with an ABI and leading a quality life. He remains interested in travelling, music and different sports. Kathryn is Deputy Leader of the New Wave Gippsland self advocacy group. Kathryn is very active in the community and a keen advocate for inclusion. In her spare time, Kathryn likes to attend the Trafalgar Footy Club. 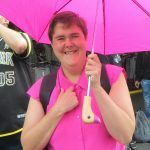 Kathryn is most interested in disability and LGBTIQ issues, and wants to influence MPs to put more money into disability – especially self-advocacy and disability advocacy. As a consumer advocate, Kathryn admits that she is often busy with community activities, but she will make time for things that are important. She prefers opportunities in Gippsland but is also willing to travel to Melbourne. Access requirements – no jargon! 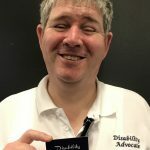 Beck Biddle is leader of the All Abilities Advocacy Group (AAA) which is a self advocacy group run by and for people with disabilities who have joined together to ensure they have the same rights, choices and opportunities as anyone else in the community. She works tirelessly, often in a voluntary capacity, to ensure people with an intellectual disability have a voice, to raise awareness of the issues they face in their day-to-day lives. In 2012, Beck did a leadership program called Leadership for people with disabilities. The graduation for this course in 2013 was at Parliament House in Canberra. She is a graduate of the Voice at the Table training. 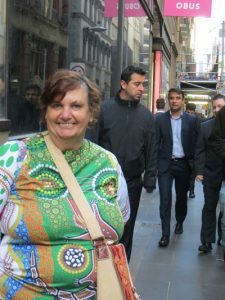 She co-facilitated talks with SARU for Self Advocacy groups around Victoria, talking about the NDIS ILC grant funding. 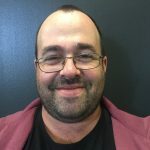 Beck has also worked with SARU – as a paid Peer Advisor for the Australian Self Advocacy Project- travelling to Sydney and Canberra to talk with groups about the benefits of creating a National Body for Self Advocacy. Beck was a founding member of the NDIS Self Advocacy Working Group. She has had the opportunity to advocate for and represent the interests of AAA group members in meetings with people such as David Bowen CEO of NDIA, and Arthur Rogers, then Dept Secretary NDIS Reform & DHHS Victoria. Beck manages both the AAA and SARU Facebook pages which have a combined total of over 500 members. She is a volunteer client support worker at her local day service and is employed through the Enabling Leadership for Women program run by Women with Disabilities Victoria. 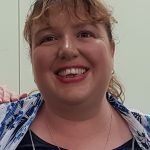 Bec is the AAA representative on the Victorian Self Advocacy Network (VSAN) steering committee.She is a member of the Finding Your Voice All Abilities Choir too. Bec also works to raise awareness of the issues faced by women with disabilities. Beck is committed to supporting and promoting the importance of self advocacy and working towards breaking down the barriers which prevent people with a disability from achieving their right to an ordinary life. Bec also works with the local Rural Access workers as part of developing local networks and finding champions for the group. Beck is skilled at co-facilitation of meetings, presenting to large groups of people as a keynote speaker or through forums and consultations. She has the skills to relate clearly to Govt and other departments about the importance of Self Advocacy and networking. She is great at listening to individuals within groups and making sure that everyone has a voice. 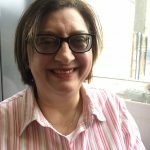 Anat Bigos is a member of Brain Injury Matters (BIM). She is also working for Road Safety Education with their RYDA (Rotary Youth Driver Awareness) program, speaking at schools with Yr 11 and 12s around driving safety. She also works with the Glen Eira City Council, speaking to Grade 5 & 6s about accepting people with disabilities. Her presentation is called ‘Don’t Judge a Book by its Cover’. Anat’s main hobby is writing. She also loves to ride her recumbent bike in Caufield Park. 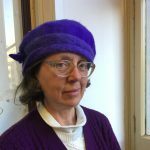 Anat is a people person and loves to meet new people in many contexts and has an interest in current affairs, comedy, and can speak 3 languages – Hebrew, Spanish and French. Cameron is a member of Rainbow Rights Self Advocacy Group and The Australian Labor Party. In 2018 he gave a speeches to Melbourne University 3rd Year Students and Inclusion Melbourne at Northcote Town Hall talking about his life story. In 2018 he did Voice at the Table training and a course called LGBTIQ Sexual Lives and Respectful Relationships. He is a good public speaker and communicator and passionate self advocate. He is especially passionate about Rainbow Rights, a self advocacy group run by and for people within the LGBTIQ community with intellectual disabilities. Cameron is interested in advising Government Departments, Local Councils and community organisations about the experience of people within the LGBTIQ community with intellectual disabilities. 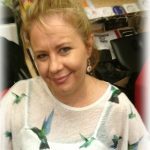 Julie is a member of Positive Powerful Parents (PPP) Self Advocacy Group, Reinforce and the Victorian Self Advocacy Network (VSAN). In 2018 PPP celebrated their 6th birthday. Julie is proud that they have started achieving their goals which include starting to create a resource kit and flyer, and meeting more regularly. Julie is good at advocacy, leadership, organising, teamwork and she has a willingness to learn. Her main interests are advocating for Parents with a disability, Jobs and Employment for people with intellectual disabilities and improving Day Services. She also likes craft and cross stitch. Lisa is a member of Brain Injury Matters (BIM) and United Brains. She completed the Voice at the Table training in August, 2018. In 2016, she began her Masters of Human Rights, Sydney University. 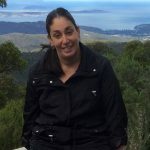 From 2010 – 2015 she has completed; Disability Standards in Education, Victorian Equal Opportunity & Human Rights Commission (VEOHRC); Human Rights and Equal Opportunity Advocacy,VEOHRC; Philosophy: The Big Questions, CAE; Advocacy for Social Change, City of Yarra; Human Nature and Government: Three Classic Perspectives, CAE; Leadership Plus, Leadership Plus; Equal Opportunity, Human Rights and Disability, VEOHRC; Understanding the Charter, VEOHRC; Human Rights across Cultures and Religions, Curtain University; Fast-Track Leadership Program, Leadership Plus; Social Justice Workshops, RMIT University, Women in Non-traditional Careers, VEOHRC; Grad Cert Applied Human Rights, RMIT and Master of Human Rights, Curtin Open University. 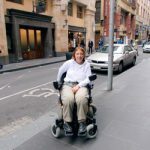 She is currently on the Steering Committee for Boards and Committees for Government Departments and the City of Yarra Disability Advisory Committee. She completed the Voice at the Table training in August, 2018. Lisa is a strong advocate for Human Rights – especially in the Disability Sector. She is proficient in public speaking and has experience in participating in high level meetings and committees. Lisa is passionate about chocolate, Human Rights (which covers everything) advocacy and justice. She has an interest in expressing her passions and achieving practical solutions to injustice. Wade is a member of Artlife at Footscray Community Arts Centre, Interchange and Basecamp. He has collaborated on many performance and art projects including a residency at Testing Grounds in 2016. In 2018 Wade did the Voice at the Table training. He is good at speech-writing, travelling, helping others and dancing. Wade is passionate about making public transport accessible and stopping abuse and violence against people with a disability. In 1992, a bout of meningitis and encephylitis left Bernadette Cheesman (B) with an acquired brain injury (ABI). She is still discovering many of the manifestations and consequences of this. B is also still learning about people’s perceptions of her and the ABI. This ranges from those who wrongly believe she no longer has any capacity, to those who wrongly believe she does not have a disability. Over the years, B has been a member of, or connected with, a number of groups, including Brain Injury Matters (BIM), United Brains (UB), the Peace Education Project, the Alternatives to Violence Program and the AMES home tutor program. She was a volunteer at a TAFE literacy program, until that program was de-funded. She completed the Voices at the Table training in August, 2018. B has concern for the broad band of disability rights, including advocating for proper accommodation for people with high needs disabilities. These people are often left to the vagaries of hotel or aged care facilities, rather than accommodation that provides for their needs. 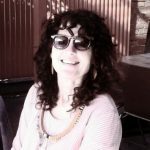 She is also concerned about other failures of the system(s) and has worked with the Indigenous Social Justice Association – (ISJA-Melbourne) to highlight one aspect of this need. She also has an interest in the interface of nature and good health (both mental and physical). This is demonstrated in her membership of such disparate groups as the Ballarat Field Naturalists, Friends of the Ballarat Botanical Gardens, Friends of Whyndolm Reserve and the above-mentioned BIM and UB. She is a gifted writer of both fiction and nonfiction. In 1995, her essay was the Victorian winner of the Order of Australia ‘Australia 2020, My Vision’ contest. In 1996 she was responsible for successfully writing and acquiring a significant grant from a Japanese trust, for Baan Unrack in Sangkhlaburi, Thailand – a home for orphaned and abandoned children. 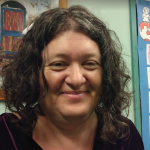 Pamela is a Program Assistant at Science Play for Kids at Footscray Community Arts Centre (FCAC) and a volunteer for Toddler Art and Toddler Circus. 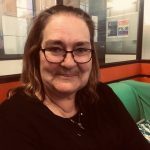 In 2017 Pamela was a member of Maribyrnong City Council’s Disability Advisory Committee. She has completed the Women’s Leadership Program at Women with Disabilities Victoria and in 2018 she completed Voice at the Table training. In 2008 she created and performed a solo performance called ‘Leon Devise in Sympot’ at FCAC. Pamela is a people-person with excellent networking skills, making friends and working with children. She enjoys visual arts and copying out songs. Pamela is passionate about having a voice, socialising and having confidence. Peta completed the VATT course in 2016. She is a member of Brain Injury Matters – where she was the President for 8 years. She is also a member of United Brains – a support group for people with Acquired Brain Injury. Peta volunteers at the Greeves St Gatehouse Op Shop one day a week. Peta scored in the top 10% of HSC students in Victoria in 1973. She is very proud that, in 1985, she learned how to walk again after not being able to for 4 years. In 2012 Peta gave a talk at the Melbourne Town Hall for Brain Injury Awareness Week. She spoke about the importance of Self Advocacy. This was a powerful speech which made a huge difference to the life, in particular, of one woman – who now, is now the President of BIM. Writing is one of Peta’s skills and passions. Being a supremely confident person, networking is one of her great skills. She can work with, diverse groups of people, run meetings, advocate to all levels of Government, and deliver presentations to all kinds of groups of people. Her son is the great passion of Peta’s life. Advocating for Human Rights is another big passion of Peta’s. She is a skilled furniture restorer – especially practising the art of French polishing and her love of art factors into a great part of her life. 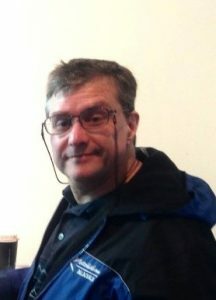 Colin Hiscoe is the current President of Reinforce, the longest running self advocacy group in Australia. It is an organisation run by people with an intellectual disability for people with an intellectual disability. Colin is a recognised leader and spokesperson for the rights of people with an intellectual disability. He has sat on numerous government bodies and advisory councils and has presented at many conferences in Australia, the U.S. and Canada. Colin’s personal history is one of institutionalisation and segregation until he attended a self advocacy conference in 1982. He stated that “at long last I had found a passionate group of people who had the same things done to them that had been done to me. It was a chance to help fight for our rights”. 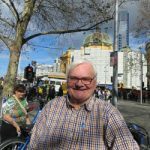 In 1988 he was employed by the Australia wide People First Resource Unit, travelling Australia running training sessions and resourcing other self advocacy groups. 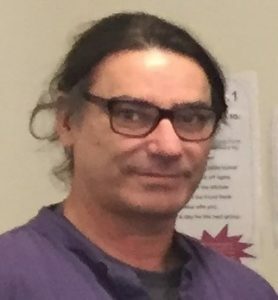 In the 1990s he was employed by Independent Advocacy South Australia and worked with the South Australian Council of Community Services to run training on issues facing people with an intellectual disability. As President of Reinforce he has worked tirelessly to instigate and manage large projects. In 2008 Reinforce was one of the few community organisations to be selected for a major grant from the Myer Foundation which recognised their leadership and the quality of their work. Yannick Goodsir is a member of Freemasons Victoria, where he is involved in the Freemason General Purpose Meetings. These initiate support for charities and organisational events. He is a member of Voice at the Table and completed their training in August, 2018. He is interested in volunteering in the community and in charity work. In 2018, Yannick helped raise over $100,000 for the Royal Children’s Hospital Appeal with the Freemasons. In September, 2018, Yannick was part of an important consultation with TAC, helping develop an app, which will help future TAC clients access support. Yannick is good at helping others, working with technology, working with both individuals and groups eg. consultations and general meetings. Yannick is a strong communicator, who can translate big ideas into simple, relatable language. Yannick is passionate about supporting charities, local community, the environment, his and volunteering. He is also passionate about his family and friends. He has an interest in Peer Support, advocacy and helping others. the NDIA Working Group and United Brains. 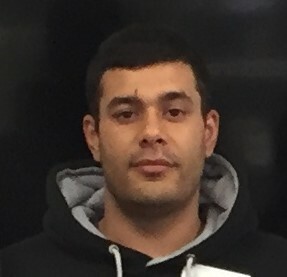 Troy was Secretary of BIM 2012-2017 and was Mornington Computer Group’s Treasurer in 2011. In 2016 Troy completed Voice at the Table Training. In 2012 he completed RMIT’s Leadership Plus training. He has won hundreds of sales prizes, the most prestigious of which was in 1991 when he won a National Sales Competition in his role as Assistant Manager at Downtown Duty Free. He has strong administration, sales and leadership skills and a passion for social justice and bringing awareness for brain injury. Eve has been a member of Toastmasters since 2012. She is currently the Sergeant at Arms for their meetings. In 2008, through Leadership Plus she did a Diploma of Community Education, later she went to Holmsglen to do a Cert IV in Disability. She participated in the VALID – Have Your Say Conference and is wanting to do the Women With Disability, Enabling Women course. She is good at public speaking, talking (especially about issues around disability, teaching swimming and writing. Eve is passionate about being involved in advocacy, being positive, community education around disabilities and speaking up for people with disabilities. She has an interest in public speaking and being part of groups. Warren Loorham is a member of the Arts and Mental Health Network, where he coordinates the communication between members and Arts Access Victoria. In 2018, Warren contributed to Australia’s first Disability Pride mural. Warren is good at being creative, active listening and considering multiple perspectives. He is empathetic and able to meet people where they are at, patient and a good encourager. Art is one of Warren’s passions, as well as being involved in the Disability Pride movement and smashing stigma. He has an interest in how words and terminology shape how people with a disability are viewed and treated. He has a desire and determination to help develop a level playing field for all people. Larissa McFarlane’s biography is coming soon. Amanda Millear’s biography is coming soon. Jane is a former member of the Bendigo BI Group, Stroke Support Peer Group. In 2003, she was president of Brain Injury Matters – a self advocacy group run by and for people with acquired brain injuries In 1983, Jane sailed 10,000 nautical miles around the South Pacific. She is proud of the role she played as nurse to her friend and mentor before he passed away. Jane is good at caring, cooking, art, swimming, socializing and Self Advocacy. Jane is passionate about improving public awareness about ABI. She is also interested in making spaces for people to learn about disability. She has an interest in education, which has led to to leading to Speaking Out! Because of her own personal physical disability, she had a strong interest in physical therapy. Justin is a member of Boilover, a drama group for people with disabilities and a member of Social Blokes and Probus. 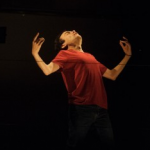 In 2015 Justin represented Boilover at the Hume City Council Convention in Craigieburn and he has performed a lot of different performances for the community at Boilhouse Theatre in Sunbury. He attended the Deaf Convention in Sydney two years ago and in 2018 he completed Voice at the Table training. Justin is very creative and a good leader with organisation skills. He is a mime and character performer with a great sense of humour. Justin is passionate about animals and helping people, especially people with disabilities and ageing people. He likes making people happy to ensure they have a good day. Justin has an interest in transport, housing, community services and local Council. Alisha is a member of Interchange, Artlife, Chaotic Order dance troupe and a Horticulture Group. She has won awards for her animations and was published in the Artlife Colouring Book in 2017. In 2018 she did the Voice at the Table training. She is good at making friends, bowling, dancing and animation and is passionate about making public transport safe for everyone. Annie Payne refuses to be defined by any one of her life experiences. She is passionate about life, justice, equality, early music and the Collingwood football team. Born and raised in London by a strong and independent mother, Annie was quickly drawn in the worlds of equality and social justice which have been passions ever since. She was first introduced into public service at Stirling University where she became union vice president and a member of the communist party. Her interest in social issues is just as strong today and she is an active member of her local labor party. After a spell in teaching in some of the most challenging primary schools in Scotland and England, Annie was recruited into the Education Department as an early years policy development officer, later specialising in resource management and Health and Safety. 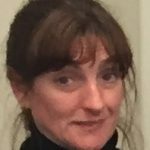 A move to Australia in 2000 coincided with the establishment of her education consultancy business which she ran for five years in the UK and Melbourne, before returning to policy development in the public sector with the Australian Education Union and Worksafe Victoria. In 2011 she discovered that she had a Grade 3 astrocytoma brain tumour. She spent the next 18 months in treatment and rehabilitation. During this period as a consumer of health services, she was constantly applying herself to find ways of improving the experience for others, particularly in the communication between health professionals and their clients. She feels she has experiences and insights that could benefit others. Delia Portlock is a member of U3A and is considering taking up a membership at Brain Injury Matters (BIM). In 1998, Delia was president of Headway Victoria for 8 years. 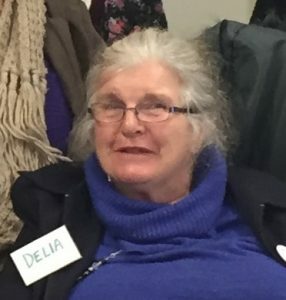 She was also on the Managing Committee for Melton South Community Centre for a number of years.Delia is a confident and experienced public speaker. With a background in Nursing, Midwifery and Maternal and Child Health, she is able to communicate to diverse groups of people and to individuals. She is a creative who works with many mediums including painting, sewing and crafts. Ensuring people have access to all places is a passion of Delia’s and she has an interest in community art and live theatre. Julie is a member of Diversity & Disability Self Advocacy Group, which is run by people with disabilities. She is passionate about culturally and linguistically diverse communities. In 2016, Julie worked with Office of the Public Advocate to create a resource for non verbal clients to better identify abuse and neglect. Julie is good at chairing consumer reference groups, working with small groups to help them identify their needs. She is also proficient in using computers. Julie is passionate about financial security for people with a disability, employment issues and improving government systems to ensure that people are treated fairly. She has an interest in creating groups for those who experience isolation so that they might develop friendships. Eva is an extremely active member of her community and the sector… almost too much so for her own good! 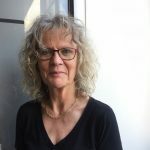 Whilst managing the scholarship programs at Arts Access Victoria, she also uses the South Melbourne office as a base for the ongoing work in launching her own training venture By Accident™ – a series of trainings for others with Acquired Brain Injury showing different ways of living life to the full post injury. 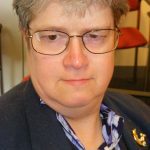 Occasionally co-facilitating training on violence against women with disabilities to organisations in the support sector, she has facilitated peer groups for the organisation Women with Disabilities Victoria. An active committee member of the self-advocacy group Brain Injury Matters, she manages as much as she can for their various activities and ventures. She has completed the Voice at the Table (VATT) training and is a co-facilitator of this program now. She also works as a consultant for VATT. Eva also facilitates the Voice at the Table Inclusive Meeting Practices training for government and community organisations. Once a professional dancer working all over Australia, she lived and performed in cabaret shows throughout Japan. As a vivacious and enthusiastic character, Eva is a well-versed communicator. She has just enough energy to achieve all she does. Her practice extends to theatre and entrepreneurship. She remains passionate about advocacy and the arts. Barbara is a member of B.I.M. and United Brains. She is extremely passionate about people with an ABI being cared for correctly in suitable accommodation where they are given all the necessary care and treatment by professional staff who have expertise in brain injuries. She has seen people into a unsuitable nursing homes and not getting any suitable care, with no hope of improving. She sees this as completely unjust and wants to advocate for a different life for these people. Barbara has lived with a ABI since she was of the age of 6, after being hit by a car while crossing a road on her push bike. Barbara was lucky enough after leaving hospital to go into the care of her parents who helped her immensely, fighting for her rights – there were many challenges for them to overcome. 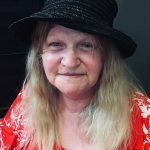 In later life, she made the most of life, finding work, getting married and giving birth to 3 girls, though none of these things were easy – due to systems treating people with a disability like second class citizens. In the 1990’s, one of her jobs was a kitchen hand at the Caufield Hospital. Here she discovered her gift of listening, as patients would often approach her for someone to talk to. Barbara developed a love for animals – especially horses- and as soon as she was able, bought a horse of her own. This love for horses developed in her 3 girls, who till this day still own horses of their own. In the 1980’s Barbara cared for many kinds of sick animals mostly from Myuna Community, Doveton. Here, Barbara became a volunteer for Riding for the Disabled organization, giving disabled children and adults help in riding horses. She enjoyed giving pleasure to others by assisting them to do things they were not able to achieve on their own. In the late 1990’s Barbara went back to work as a security officer. She enjoyed her work as it let her enjoy different events and meeting many different kinds of people. At this job she was confronted by the way power can play out in unhelpful ways. In 2013 Barbara had a stroke which changed her life again. This experience made her aware of the much needed work that needs to be done to assist people with disabilities. Her own life experience of discrimination has given her a desire and passion to advocate for justice for all people and this extends to animals too. Heather is a member of Voice At The Table, Reinforce Self Advocacy for People with Intellectual Disabilities and Positive Powerful Parents Self Advocacy Group. 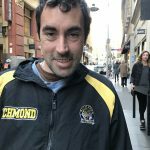 In 2017 Reinforce did the ‘Melbourne Through The Eyes Of A Friend’ Project which involved doing some filming for a YouTube Clip and making a DVD of Self Advocacy Songs. In 2018 P.P.P.S.A.G are included in this partnership project where we are working towards creating an information toolkit for community centres about Parents with an Intellectual Disability. Also in 2018 Positive Powerful Parents Self Advocacy Group have received their new desk (with our new laptop computer) in the new SARU office. We also have set up our new email address along with created new brochures and postcards. Heather is good at neat handwriting, typing on the computer, creating Microsoft Powerpoint presentations, creative & personal story writing, good knowledge on music history with song titles and recording artists. 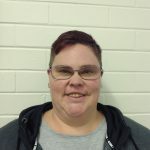 Heather is passionate about equal rights for people with Intellectual Disabilities and has an interest in doing story writing, bargain hunting at opportunity shops and thrift stores, listening to music and sharing creative ideas. Luke Taylor’s biography is coming soon. 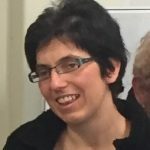 Rachael is Leader of the New Wave Gippsland self advocacy group, and member of Women with Disabilities Victoria and Reinforce. 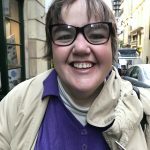 Rachael is interested in self advocacy for people with disability and in the mainstream community, and she wants to influence others with intellectual disabilities and acquired brain injury to be able to stand up for their rights. Rachael likes netball, swimming, and spending time with her family. Rachael is available for consultations as a consumer advocate in Melbourne and Gippsland, and prefers for someone to explain things to her before meetings. Jamie Watkin’s biography is coming soon.